Drop the need for Apex. Automate your Salesforce with Parabola. 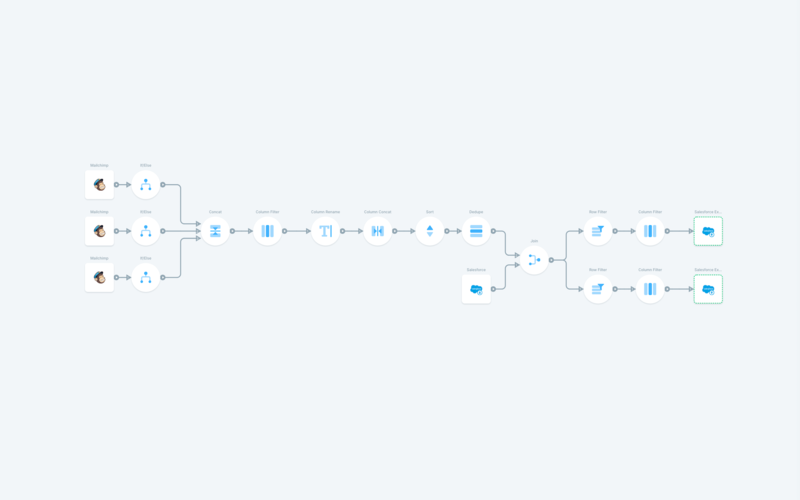 Use Parabola's visual programming tool to manipulate and work with your Salesforce data. Build your own custom Salesforce data flows, without becoming or hiring an Apex developer. 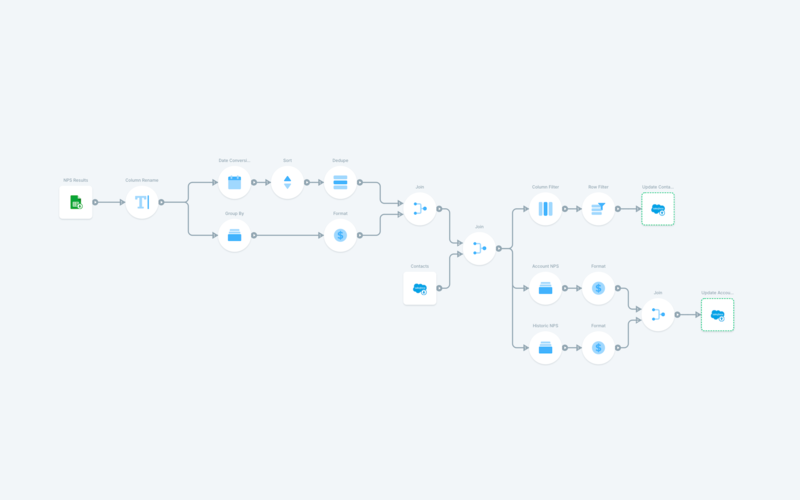 Work with your full Salesforce data as you create your own custom logic, so you can build the exact changes you need to your Salesforce leads, campaigns, customers, and deals. 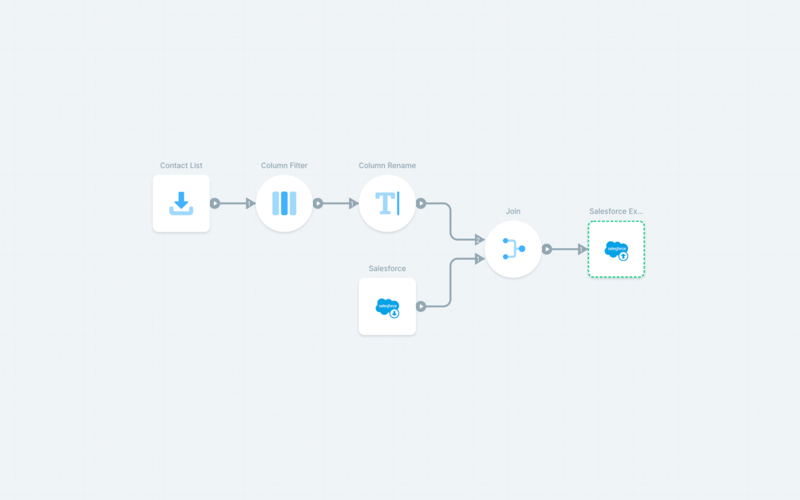 With our library of transforms, you can modify your Salesforce data any way you need by defining a series of transforms, which will be performed automatically every time you run your flow. Complete the loop by syncing your changes back into Salesforce. You can also push data to other services, create custom reports, update a dashboard, and so much more. Your entire Salesforce workflow can be run with just one click, or you can set it to run automatically on a schedule. Your scheduled flow will run in the cloud and you'll receive an email confirmation when it finishes, so you don't have to do anything.